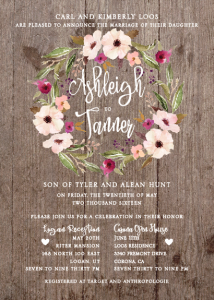 Whether you are a happy camper or a whimsical woodsy fairy lover, we can help you get the nature style wedding invitations you want! 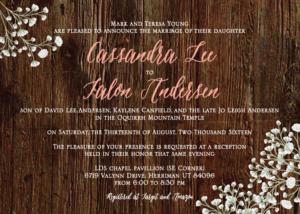 Enchanted forest themed weddings are become incredibly popular, and The Invitation Maker is ready and waiting to help you achieve the look with your invites! 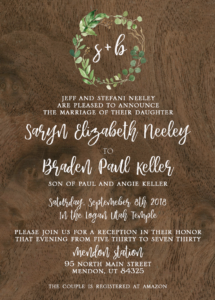 Woodsy wedding invitations could include fun, unique elements such as imagery of trees, flowers, animals, or other nature scenes. 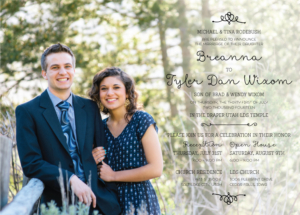 You might also opt to use earth tone colors, twine, and bold fonts to perfect the look. 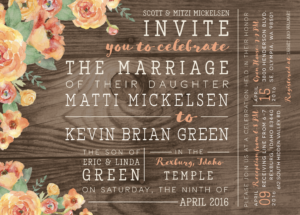 Enchanted forest lovers may want their invitations to have rich green, gold or silver colors and trees with fireflies or other fairy styles. 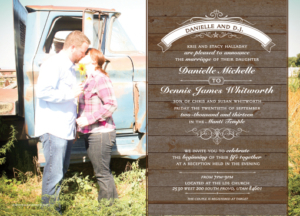 No matter which way you want to go, we can help you get there. 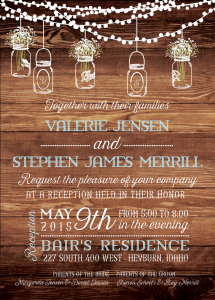 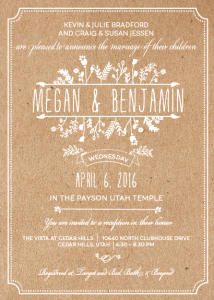 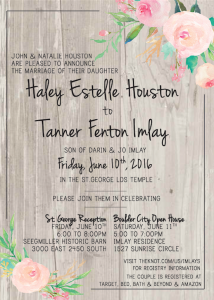 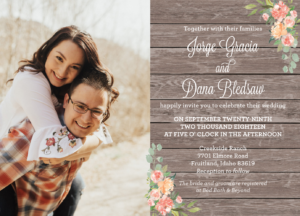 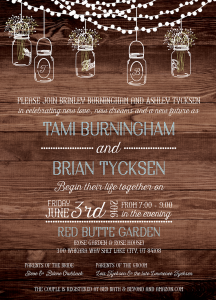 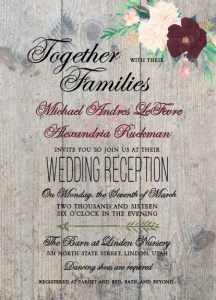 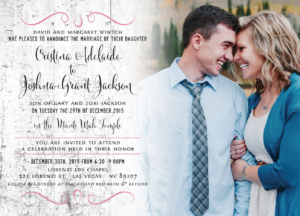 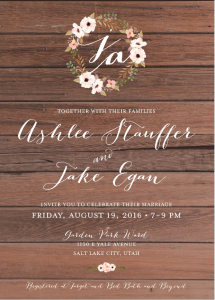 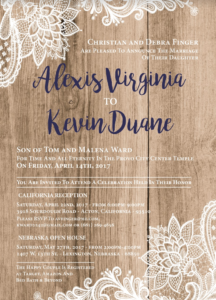 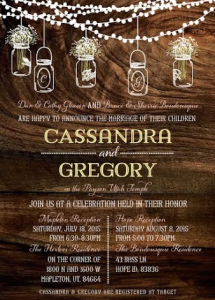 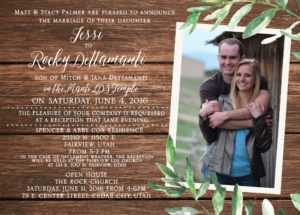 How can The Invitation Maker help me create nature style wedding invitations? 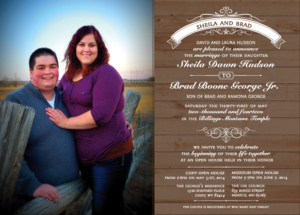 Working with us isn’t complicated, and everything can be done from the comfort of your own home! 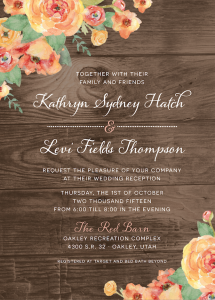 Our entire process is completed online and shipped to your home, bringing you professional designs with unmatched convenience. 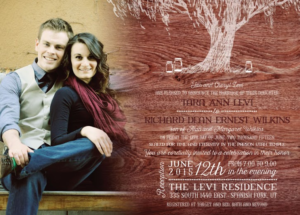 Browse our portfolio to get inspiration from other enchanted forest wedding invitation templates. 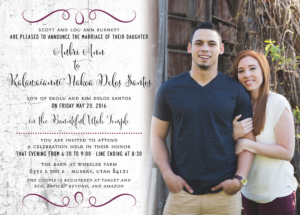 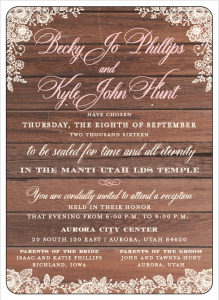 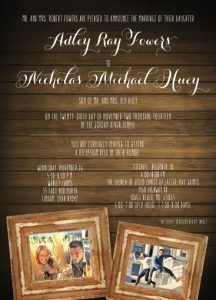 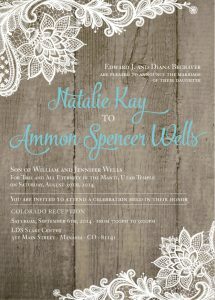 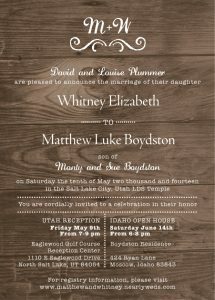 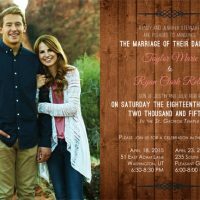 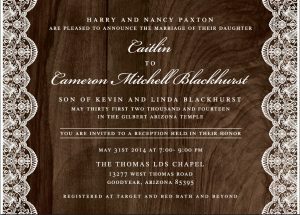 You’ll work one on one with a dedicated designer to craft your perfect woodsy wedding invitations. 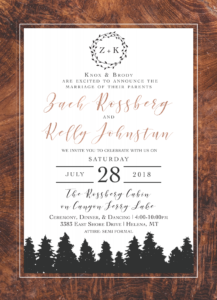 Once they are ready, we print them within a few days and ship them for free (for standard shipping) or you can pay to upgrade to expedited shipping. 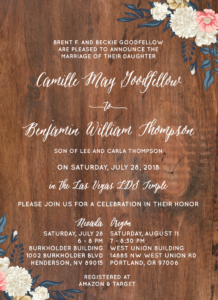 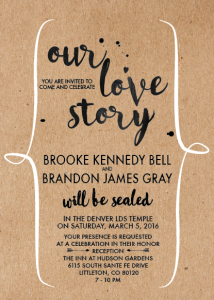 What’s so special about The Invitation Maker?